It has been such a busy week! 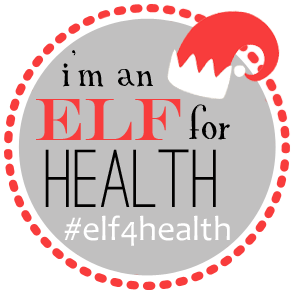 The first week of every month usually is, but this month I am covering for a coworker that is out on maternity leave. There have been some longer hours this week, but those will pay off on Friday. Luckily, we have some wiggle room with our work schedule. I will have 35 hours (or more) in by the time I leave Thursday, so I just have to finish out my 40 for the week. In other words, I will be running out those doors at 1! 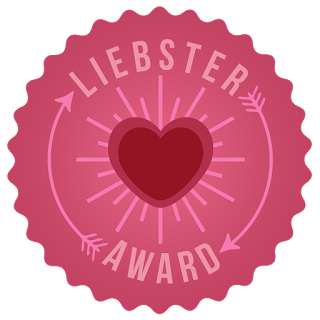 Yesterday, the awesome Cecilia at MommiesRun nominated me for a Liebster Award! 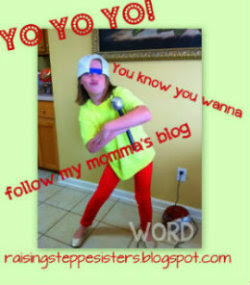 So I am answering her questions and coming up with some for you! 1. How did you get started running? I really can't remember why I decided to start running, but I had some friends that were signing up for 5Ks. What's better than running with friends! So I signed up for my very first race ever--the Youth Villages 5K in either 2009 or 2010. I would say I haven't really gotten serious about running until within this last year. 3. How do you unwind after a rough day? When I don't have running around to do after work, I love getting home, putting on something extra comfy and relaxing in front of the tv with a nice dinner and glass of wine. There was a window of time where I would have said sitting on the patio, but we may have jumped right through spring into summer in about a week's time here. 4. What race is on your bucket list? I would love to run the NYC marathon but I'm not really sure right now if I want to go after that distance or not. I am just now getting comfortable with the idea of running 13 miles. I do want to run some more half marathons in other cities. Maybe a half in 13 states? Who knows. 5. What do you love about blogging? I love the people I have met and the sense of community. Sure there are negative things that go along with it but the positives far outweigh the negatives. Some of my good real life friends have once been exclusive blog friends. I've met several just in the running community. 6. How do you fuel for a long run? I'm still learning how my body needs to be fueled for long runs. As crazy as this sounds, one thing I thought would be the worst race snack ended up being great for my half.....brown rice crispies. Jeremy's cousin had some and that's what I had with natural peanut butter before the race and then one during the race along with some Gu. All worked perfectly for my body. I just didn't have my first snack early enough in the run I think. 7. What is your all time favorite TV show? I would say Friends, Modern Family or The Office just because if nothing new is on tv, I can watch any rerun of these shows. I like to laugh! 8. Skirts or shorts for running? Compression capris. For now. I have never liked to run in shorts, but I did 3 miles in shorts last night. I think I just need to do it more and get used to the shorts. I also have a running skirt that I really like. 9. If you could make 3 wishes, what would they be? Besides the typical, world peace and a cure for cancer (because those are definitely top of the list), my personal wishes would be an unlimited expense account for travel, a huge chunk of land in the same area we live now, and to have had more time with my grandfather that passed away when I was little. 10. What is your signature color? Melnessa (Melissa, do you remember this color? lol) When I was in high school, my best friend and I discovered that we had a common color that looked great on our ghost white porcelain skin, so we named it Melnessa (Melissa and Janessa, we were combining names before Brangelina). Melnessa is just the right shade of pink-orange-coral. 1. If you run, what's your favorite piece of running gear? 2. Where are you going for summer vacation this year? 3. What is something you have pinned on Pinterest and actually made? 4. What is one thing on your bucket list? 5. How did you meet your significant other? 6. What's your favorite current tv show? 7. What is a random fact about you that most people don't know? 9. What is your favorite piece of clothing? 10. What's the last text in your phone say? I LOVE your signature color! That sounds like the perfect spring time color. I'm glad you played along!